As with Chaos Rings and Chaos Rings Omega before it, Chaos Rings II is a turn-based role-playing game that almost acts as a mirror into an alternate dimension where games like Final Fantasy maintained the old fighting mechanics, applying innovation on things like the Single / Duo combat system or summoning skills, a new feature in the series. This is quickly becoming one of my favorite role-playing series. 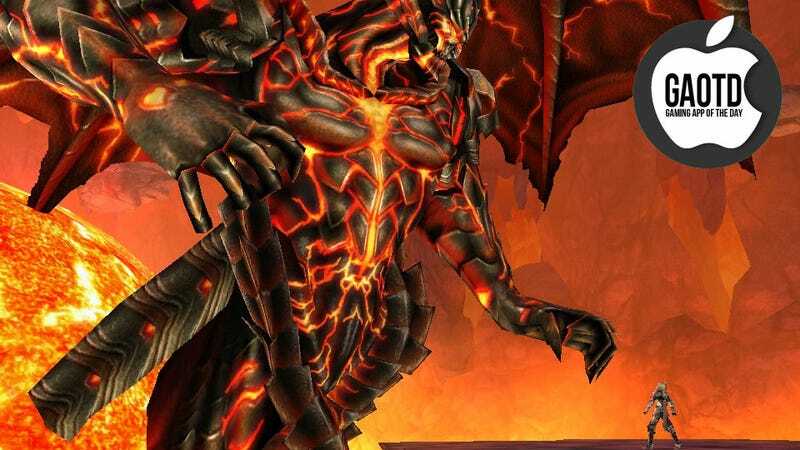 With shiny new graphics, hidden bosses and the promise of free downloadable content on the horizon, this evolution of the Chaos Rings franchise might be the most enjoyable entries so far. What's the game about? Some would tell you it's about a group of people chosen to sacrifice themselves to save the world. Others would tell you it's about $16.99 ($19.99 on the iPad). Square Enix continues to defy iTunes pricing norms. Fortunately they also continue to release games that are completely worth the high asking price.